Transitional aesthetic meets modern lines in the casually elegant Bayshore Collection. Swivel chair options offer dark brown bi-cast vinyl and brown fabric cover, that feature wood cap and legs. Each height option sold in pairs only. 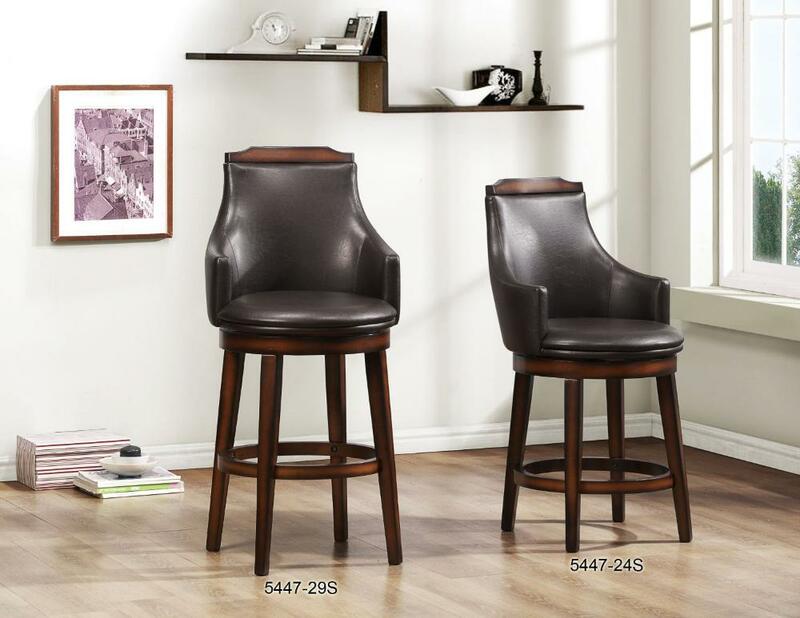 FEATURES: Dark Brown Color ~ Transitional Style ~ Bi-Cast Vinyl Cover ~ Wood Caps ~ Swivel Pub / Height Chair ~ Foot Rest ~ Wood Base.